Car Body Repair Shop. Car Body Repair Discounts, 100% Satisfaction Guaranteed! Ramy’s Garage the Car Body Repair Shop with Affordable Prices. Restore your car, SUV, truck and van to pre-accident level. Quality Car Body Repair. Your car relies on you to maintain it regularly and not to gun it across any rivers, even if there are free Thick burgers on the opposite bank. Keep your vehicular promises with this Services. Each option includes repair, sanding, repainting, and clear-coat application. Parts are not included. It’s the team and the tools that make Ramy’s Garage so reliable when it comes to car repairs. From the managers to the welders, the staff at the dealership-authorized facility ensures that clients will leave satisfied. They use state-of-the-art devices such as a downdraft spray booth and a high-tech frame machine, restoring cars so well that drivers might think the stork brought them brand-new ones. They’re so sure of their work, in fact, that they guarantee repairs for as long as customers own the vehicle. Car body repair shop in Houston Texas offering huge discounts and 100% guarantee on car body repairs. We are your local car body repair shop with over 50 years in auto body repairs and auto accident collision repair services. As the affordable car body repair shop, we promise to repair and restore your automobile today at prices you won’t find anywhere else. Call us at 281-661-8180.We guarantee that your car, van, SUV or truck will look as good as it did before your accident. Free ride back to your office or home. Call us today at 281-661-8180. We guarantee your satisfaction. Being involved in an auto accident can be stressful. 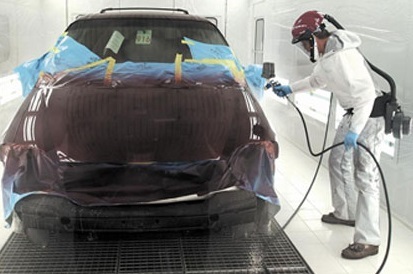 Let our auto body repair and restoration experts bring your vehicle back to life. We have over 50 years of auto body repair and restoration experience. We guarantee your satisfaction. Call us today at 281-661-8180.